The pet friendly Red Roof Lumberton offers renovated rooms and fantastic amenities. Fun activities are just around the corner: The Carolina Civic Center, Exploration Station Children’s Museum, Lumber River State Park, shopping and golf. Book now! The rooms feature interior corridors, free WiFi, flat screen TV, cable television with HBO, microwave & refrigerator, hairdryer, iron & ironing board, in-room coffee, and work desk. Book now! Play a round of golf at one of the beautiful Lumberton, NC golf courses including Carolina Plantation Golf Club (6.5 miles away) and Pinecrest Country Club (3.9 miles). Book now! Town & Country Four Theatre, 1.1 miles away, offers show times for the latest movies. Perfect for a rainy day activity! Catch a movie at Carolina Civic Center (2.5 mi). The center also hosts exhibits, concerts, plays and more. Catch an amazing and educational show on space at the Robeson Planetarium and Science Center! The best part is that admission is FREE! Just 4.1 miles away. Book now! Lumbee Tribe Cultural Center in Maxton, NC is just 25 minutes away. Book your stay now. Exploration Station, 2.7 miles away, is a hands-on children’s museum that offers fun learning exhibits where you can make-believe to be a fireman, play in a castle or shop through a grocery store. Book now! Experience great shopping, dining, outdoor activities and more in Lumberton, North Carolina! A perfect place for a getaway. Click here to learn more. Book now! 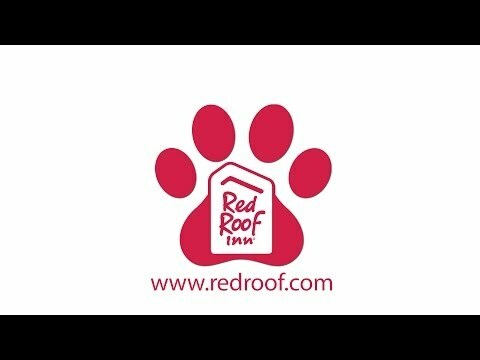 At Red Roof Inn Lumberton, "You Stay Happy, Pets Stay Free!" Book now! Visit a family member or a friend, explore the campus or catch a sporting event at The University of North Carolina at Pembroke. Just 13.3 miles away. Book now! The Riverwalk is a paved walking and biking trail that can be entered through the Luther Britt Park or from Downtown Lumberton, which is filled with great shopping, dining and farmers markets. The trail is 1.5 miles long and overlooks the beautiful river. The trail is also great for bird watching. Book now! Givens Performing Arts Center, 13.3 miles away, offers arts, culture and entertainment. Make sure to catch a fantastic Broadway Performance, live act from a touring group or student lead youth production. Click here for the upcoming events. Book now! Shop for the latest fashion trends at Biggs Park Mall (.9 miles away) and browse through antiques and a flea market at Carolina Country Peddlers Mall (2.7 miles away). A Sam's Club (2 miles) is also nearby our location. Book now! Luther Britt Park (4.3 miles) offers 2 lakes for fishing, swimming and boating, nature trails for hiking or biking, a basketball court, playgrounds and picnic facilities. Lumber River State Park (26 miles) and Jones Lake State Park (29 miles) are both great sites for fishing camping, picnicking, hiking, kayaking, canoeing and more. Book now! Less than 1 mile away, you will find a Cookout, Waffle House, Village Station Steakhouse, Subway, McDonalds, Burger King, Highway 55 Burgers Shakes & Fries, Bojangles, Adelio’s Italian Restaurant, Hardees, Captain D’s Seafood Restaurant Fullers Old Fashion Bar BQ and more! Click here for a full list of dining options in Lumberton. Book now! Fantasy Lake Water Park (25 miles) hosts tons of water activities including water slides, a Tarzan swing, paddle boards, jump tower and more! Open May – September. Book Now! Situated in the heart of Cumberland County, the Crown Complex is a five-venue complex managed by Spectra Venue Management. The facility is designed as a full-service, multi-purpose exhibit and meeting facility! Located just 26.59 miles away, book your room today! We've been audited, verified and qualified for certification! Verified Wi-Fi means Red Roof now offers speeds that will allow you to stream your favorite movies, video games and music when staying at our Red Roof property. Explore this site to experience FAST + FREE activities nearby, and let Red Roof Lumberton be your companion. “Loved our stay at the Red Roof Inn! Remade rooms were spotless and lovely, and the organization was second to none. Proprietors are adjacent and endeavor to welcome you and certification that you have all that you require. All staff was genial, valuable, and eager to serve. Our cleaning specialist, Staff, was particularly useful. Delightful pool zone, also, and the perfect range for setting off to the minors and Tabasco Pepper Sauce Factory on Avery Island.” Read more reviews. Book now! Lumberton Municipal Airport is conveniently located just 3.9 miles away from our property. Book now! Southeastern Regional Medical Center, .7 miles away, is dedicated to providing their patients with the highest quality of care. Book now!